Outbuildings are now considered to be permitted development, and do not require planning permission, provided all conditions are met. 3. In National Parks, the Broads, Areas of Outstanding Beauty and World Heritage Sites the total area to be covered by any outbuildings more than 20 metres from ANY WALL of the house must not exceed 10 square metres to be permitted development. 4. Outbuildings are not permitted development forward of the principal elevation of the original house. The term original house* means the house as it was first built or as it stood on 1 July 1948. 5. Outbuildings and other additions must not exceed 50% of the total area around the original house. Sheds and all other outbuildings and extensions to the original house must be included when calculating this 50% limit. 7. Outbuildings must be single storey with a maximum eaves height of 2.5 metres and maximum overall height of 4 metres with a dual pitched roof, or 3 metres in all other cases. 8. If the outbuilding is within 2 metres of the property boundary, the whole building should not exceed 2.5 metres in height. 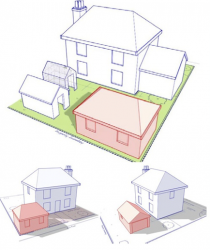 BUILDING REGULATIONS: Outbuildings maybe exempt from building regulations depending on their size, use and location. 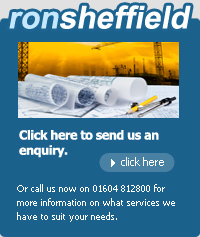 Installation, alteration or replacement of a chimney, flue, soil or vent pipes. Guidance on the Planning Portal @Permitted Development Regime under class G.
“ Original House” this term means the house as it was first built or as it stood on 1 July 1948 (if built before that date). Although you may not have built an extension to the house, a previous owner may have done so.